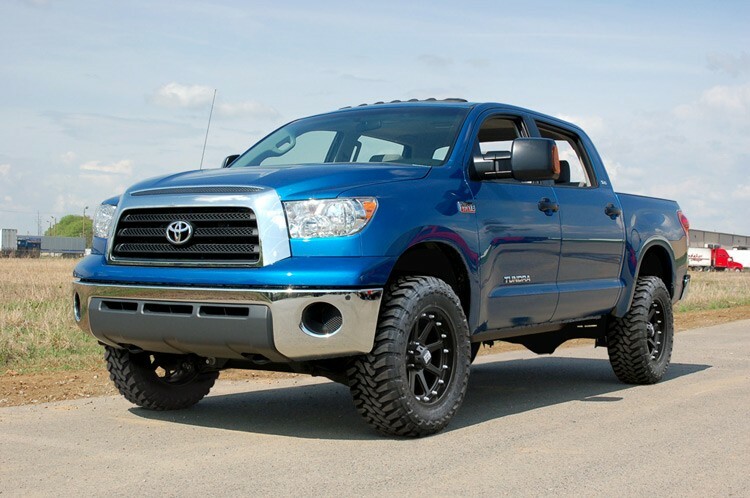 Take your Toyota Tundra to the next level with Rough Country's 4.5in Suspension Lift for 07 & up models. 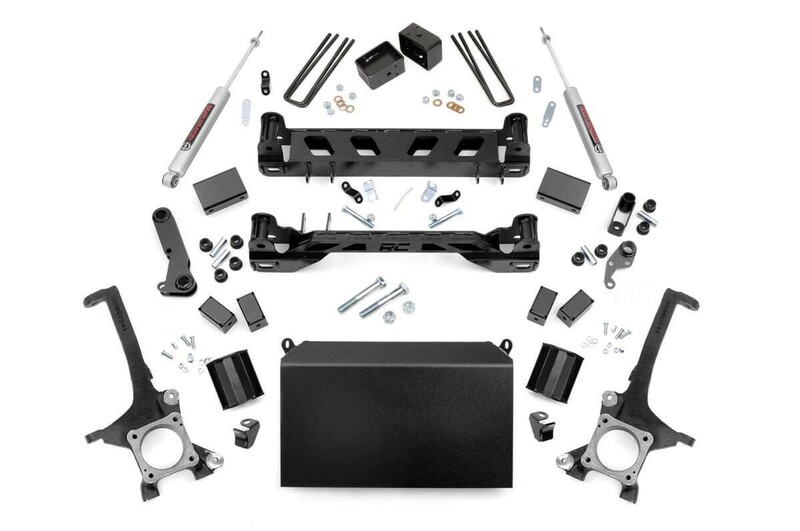 With heavy-duty components and a high-clearance design, this kit offers aggressive looks, unparalleled off-road performance, and enough ride height to run up to 35in tires. Instantly gain a meaner lifted and level stance with high-quality equipment that's made to handle the hazards of high-performance while withstanding the test of time. A set of durable lifted knuckles, high-clearance front and rear crossmembers, upper strut spacers, and long-lasting, fabricated rear blocks give you plenty of lift and uncompromised toughness. Will work with factory 18-inch or larger wheels. Requires 18-inch or larger wheels. Stock 18-inch or larger wheels can be used but can accommodate tires no wider than 11.5-inch. In some cases minor trimming may be needed to clear 35-inch tires. Please view instructions for complete information on proper tire / wheel combinations.